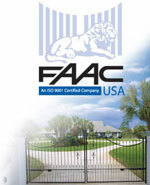 The FAAC 884 gear-motor was designed to move the heaviest industrial gates in the simplest and safest way. 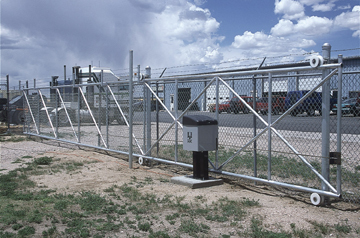 Industrial duty is assured by the gear-motors exceptional performance, enabling intensive use frequency also for gates weighing 3.500 kg. The special twin-disk clutch, in oil bath, enables drive torque adjustment from 0 to 155 daN. The steel housing - cataphoresis treated and polyester painted - is highly resistant to any environmental aggression, offering reliability to meet the most severe demands.
. GUARANTEED LONG-LIFE Constant oil-bath lubrication of mechanical components plus assembly in a high resistance pressure-cast en-bloc aluminium body ensure extremely long operator life. In case of emergency, the braking device guarantees leaf stop within very limited space, thus improving anti-crushing safety. 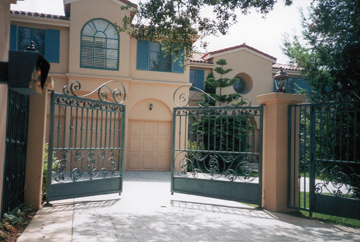 The device also ensures the gate stays closed, so there is no need to install electric locks or bolts. 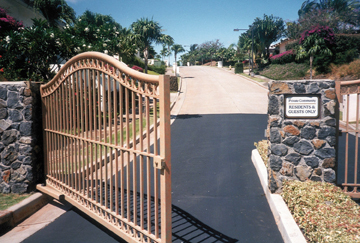 In case of a power failure, a special key-protected release lever allows the gate to be opened and closed manually.